We often hear the phrase that pregnant women are eating for two, but we rarely hear that they are also drinking for two. However, water consumption is a very important aspect of pregnancy that receives very little attention. During the latter stages of pregnancy, the mother to be will be grateful of every advantage that she can use. This includes eliminating the need to visit the fridge as often to get enough water. This is where having a water cooler installed at home can really help. It is likely that everyone is now well aware that we need to stay hydrated throughout the day to perform at our best. Drinking good quality water can counter a number of conditions, such as lack of concentration, headaches, and fatigue. In order to get adequate hydration, an average adult needs to consume around 2 litres of water every day. A pregnant woman should be drinking more water, and it is a good idea to up the amount to 2.3 litres per day. Of course, this could be more if any exercise is being undertaken or if the conditions are hot. Installing a cold water dispenser for home use is a great way to ensure that there is always excellent quality cool water ready to drink. This will encourage the mother to drink more often and eliminate the need to lift heavy bottles of water out of the fridge. 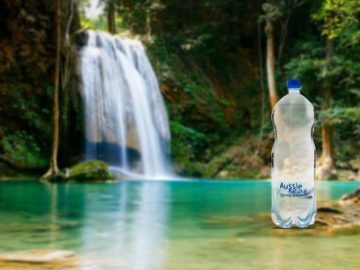 A good quality spring water will also contain vitamins and minerals that will be very beneficial. Try to remember that if you feel thirsty, you have already become dehydrated. Instead, adopt a habit of drinking before you feel the need to and you will feel better for longer. It can be beneficial to engage in light exercise when pregnant, but you need to stay hydrated. Buy a high quality water bottle and fill up from your hired cold water dispenser and take it with you. There are some brilliant apps that you can use to track your water consumption and this, in turn, will help to reduce headaches, swelling and constipation. Drink your water in small sips throughout the day and try to avoid gulping. Ensure that you hire your dispenser from a local company that delivers refills, and you can avoid lifting heavy bottles of water. 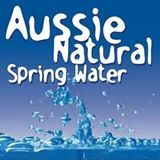 If you’re interested in a cold water dispenser for office or home use, contact us here at Aussie Natural. We have a wide range of excellent water products available for sale and hire. 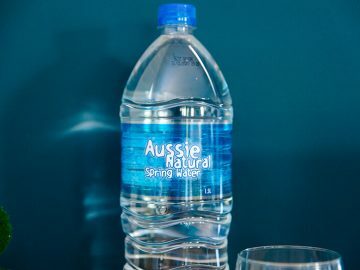 For your convenience, we can deliver your spring water bottles direct to your door. If you have any further questions or queries, we will be happy to answer them.